This jailbreak process is credited to evasi0n which is formed by the new development team called “evad3rs “. 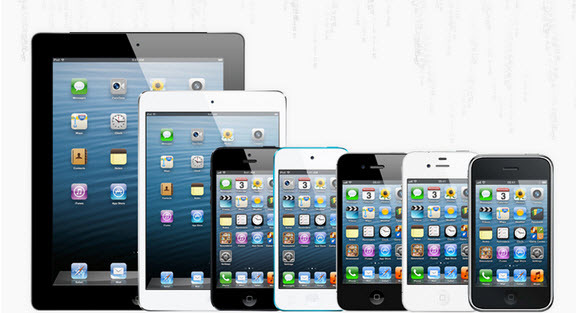 This guide is applicable only with unlocked Apple devices. So in case if you haven’t yet done so, then unlock phone with sites like this. Without wasting much time, let’s dig into the tutorial. Make a backup of all data on your iOS device with iTunes. (WARNING: THE BACKUP CAN NOT BE ENCRYPTED) Should this be the case, open iTunes and choose “Encrypt Backup“. Make sure you have not come by OTA update to iOS 6.0, 6.0.1, 6.0.2, 6.1, 6.1.1 or 6.1.2 ( Settings app -> General -> Software Update). If so, then install the newest version of iOS 6.1.2 with iTunes again fresh restore. You can then upload your backup without problems. The SHSH Files of iOS 6.1.2/6.1.1/6.1 should be secured using TinyUmbrella. Remove the lock code from the iOS device. Doing so can cause problems. Activate iPhone first and then jailbreak. On Windows Vista and Windows 7, evasi0n in compatibility mode to “Windows XP SP1, 2 or 3, depending on which version is in you,” and “Run as administrator“. Otherwise, there may be errors in the jailbreak! Also must be run redsn0w with OS X 10.8 Lion Mountain. Step 1: Download a evasi0n the jailbreak tool for Windows from the links given above. Unpack the archive after download and open the program. Step 2: Hook up your iOS device to the computer. Step 3: Click on “jailbreak” and let the tool run. Step 4: After a few moments evasi0n would have completed the installing process. You will find the icon on the homepage screen of your iOS device. Click on the icon so as to so complete the jailbreak process. Step 5: Once the jailbreak is complete, your device will restart a few more times until you will finally have Cydia on the homescreen. Step 6: Open Cydia, make the configurations and it closes automatically. Step 7: Now, Open Cydia again and you will see a screen something like the one shown below. Chose the user of your choice. That’s it. You’ve successfully jailbreaked your device and loaded Cydia on it. You have completed the untethered jailbreaking process of iOS 6.1.2 6.0/iOS 6.0.1/iOS 6.0.2/iOS 6.1/iOS 6.1.1/iOS successfully with evasi0n.